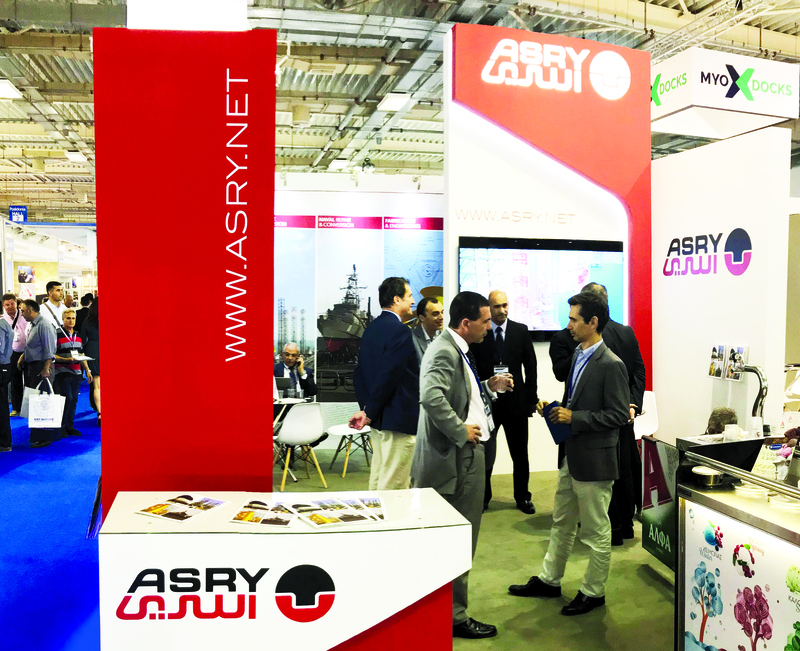 The exhibition, which had a record 2,010 exhibitors from 92 countries, also brought many of Asry’s European current and potential clients to explore networking opportunities as the company solidifies its presence in the international shipping market. “We have installed several BWTS systems for our long-term clients already and see more negotiations taking place for the rest of the year,” confirmed Asry new construction and engineering senior manager Sauvir Sarkar. “Our Greek clients are proving to be the most interested in moving forward in both the BWTS and Scrubber retrofits,” he added. “The Greek market is one of Asry’s most important territories,” explained Asry ship repair general manager Magdy AlSharkawy. “Especially in the ship repair sector. From the international market, Greece provides the highest number of enquiries, and Asry enjoys a close relationship with many of the leading shipping firms,” he continued. Asry provides a turn-key BWTS and Scrubber service that includes all services from surveying, to 3D scanning, to engineering, to fabrication, to installation. Several major global ship owners have already entrusted their installations to Asry, who can install any system from any maker, but has already installed systems from Alfa Lavel and Hyundai, the company said. Founded in 1977 in Bahrain, Asry’s facilities include a 500,000dwt drydock, two floating docks of 252m and 227m in length, 15 repair berths with a total length of approximately 5,000m, twin 255m slipways, as well as a 250,000+sq m fabrication area, workshops and service centres.